The Dominican friars opened some eighteen houses in major English towns during the first twenty years after the arrival in England in 1221. The priory in Cambridge, dedicated to the Holy Trinity, was founded either in or shortly before 1238. In that year the King, Henry III, gave oak trees to help with its construction. The site (now occupied by Emmanuel College), was out beyond the Barnwell gate, away from what was then the town centre. The success of the early preaching mission may be gauged by the friars’ piecemeal acquisition over the next few decades of surrounding properties to create a site covering some ten acres. By 1296, through the generous benefaction of Alice de Sanford, the Countess of Oxford, the friars were able to enlarge greatly their original buildings. Cambridge was already a growing university centre of study and learning. A group of scholars had moved to the town from Oxford in 1209, and in the early 1230s they had found recognition both from the pope and the king. The latter had required Cambridge students to be registered with recognised Masters, and in 1233 Pope Gregory IX granted the Chancellor and his scholars the right not to be sued outside the diocese of Ely. Every Dominican priory contained a ‘school’ where there were daily lectures on the Bible for the friars, other interested clerics and lay people, but the Cambridge Priory would interact with the nascent university to become a more advanced theological school. 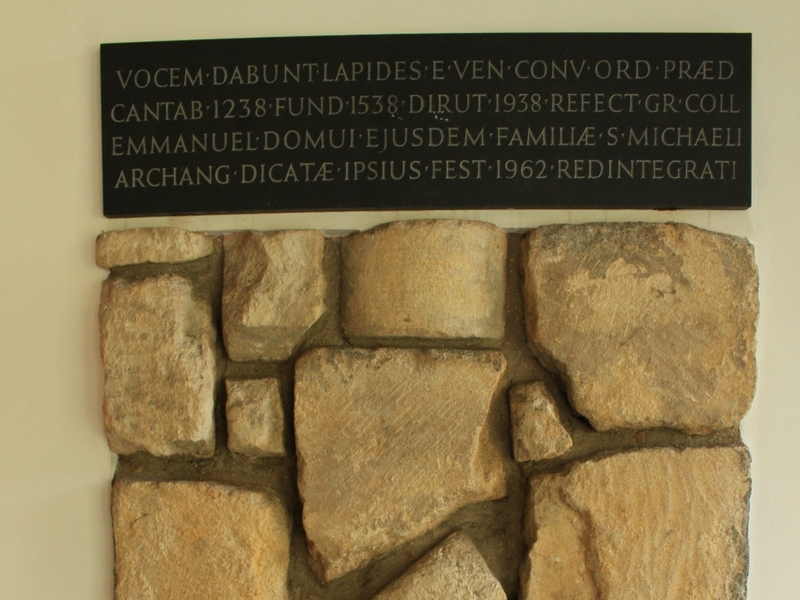 By 1260, several friars were acknowledged lectors in the university’s Theology Faculty. In perhaps 1314 the Cambridge Priory was made into a ‘studium generale’ for the Order, one welcoming the brightest student friars from different countries. It long continued in this role until the house was dissolved by King Henry VIII in 1538. The most famous medieval Dominican to teach in Cambridge was probably Robert Holcot.